I am hearing a bunch about Weight Watchers Smart Points and it is definitely a mixed bag. I think that what always separated Weight Watchers from the other programs was that you could eat what you want as long as you tracked it. Maybe WW wasn’t the healthiest method, but it met the member where they were at. Now they seem to be very much like any other diet. If you were used to eating what you want, tracking it, and losing weight with Smart Points you are going to be in trouble if what you wanted was a lot of sugar. Weight Watchers has put big Smart Points numbers on sugary treats – they cost you. Points Plus was doable for me but I just can't stick with Smart Points - it is just too restrictive. I have to have sweets or I binge and gain back what little I have lost. I know there are sugar free options but sometimes I want the REAL THING! I cannot afford to spend almost $45 a month on a program I can't stick to! Weight Watchers might argue that you can’t lose weight without cutting back the sweets more drastically than Joanne would like. Joanne is in a place where she isn’t ready to give up her sweets and is finding the program unsustainable. I will say that as I have gotten healthier, it has become easier and easier to avoid sweets (especially stuff like Twinkies or Chips Ahoy). They don’t taste good anymore to me. I don't think Weight Watchers is telling you not to eat sweets I think they are trying to push most people to make better decisions by eating fruit and veggies. Those are still 0 points a day. Once you stop eating some of the boxed foods you begin to realize how sweet and rich things like bananas and grapes are. I believe you can stick with it. It would be hard to find a registered dietician in this nation that wouldn’t point a finger at food in boxes as a big cause of the obesity epidemic. Any plan that guides you to eating more whole foods is going to help with your overall health (if not your weight). Has Weight Watchers gone too far with Smart Points? Has it become unsustainable for many people or are people finding that once they make the shift - the weight comes off? Is it possible to eat what you want and still lose weight? Maybe the problem is that Weight Watchers former premise was not going to help people lose weight in the long term. The discussion here is on going so be sure to read Does Weight Watchers Really Work? for the latest comments. Please share your thoughts. I am sure we can support each other through our collective journey. The weight loss community seems to be still deliberating the question: Does Weight Watchers Really Work? I resigned my WW membership because of the way the Smart Points was foisted on people without any input and, up here in Canada, a great deal of disruption on line and lack of access to its site to even help people during the transition. I am a WW member and lost all my weight on points plus. Why cbange now? You have to know if you eat donuts all the time you won't lose weight but occasionally one is a real treat! My issue with the new smart points is quite different from most. I am always hungry on their new program. I am 5'8 and 58 years old and am allotted 30 points a day. My neighbor is 5' foot 78 years old and has the same amount of points. I work out most days and eat an exceptionally clean diet and by the end of the day I am exhausted from the lack of enough food. Fruits and Vegetables just don't cut it as a filler all the time and how much protein do you really want to be eating all day long. So I don't bother with counting the points anymore. I just make sure that what I eat is clean of sugars and sodium and is the correct portion size. My weight is coming down at a nice rate finally. I never had a lot to loose at least I don't look at 20 pounds as a lot but regardless. When you take on a program with the accountability that WW has, you have greater expectations it will work for you. This time around it didn't work. I am about to end my WW membership. I lost 54 pounds easily before the big change. I've been on every diet under the sun and tried WW as a last resort. I was almost at my goal weight when Oprah bought WW and totally ruined it! I can't even look at her face anymore, I'm so aggravated! She said she would answer each and every email but she never answered mine! I just have one question - why change something that works so well? I don't need to pay $45 a month to know that eating fruits and vegetables will make me lose weight! If I ate fruits and veggies all day I wouldn't be fat in the first place! WW is now like every other diet out there. I don't need to go every week anymore. The beauty of WW was that you could have anything you wanted as long as you tracked it, so you didn't feel deprived. It worked for me and a lot of people, and no I don't eat Twinkies and Chips Ahoy! I used to enjoy the WW sweet snacks but now she cut their size in half and doubled their points! It's not worth it now. I used to reach for a frozen WW dinner when I was too tired to cook, now same thing - too many points. By upping the points on everything I get to eat less food per day, so I am hungry and binge which I never ever did before the big switch. I've already gained back ten pounds. I used to admire Oprah and think she was smart but this was really stupid move on her part and based on greed. Maybe she's trying to save the world from sugar and processed food, but we all know they are not good for us. We didn't need her to tell us. And we don't need to pay for her diet anymore because it's just like any other diet out there now. It will fail in the end. Pure stupidity!!!! I have 17 pounds to lose and I joined WW 6 weeks ago. I've lost 5.2 as of this week and couldn't be happier! I like the program - I can still have piece of pizza (my weakness) and its not a cheat, its part of the program - you just have to balance it out with a big salad and be more reasonable throughout the day. I've been able to go out with family/friends and enjoy it all just in moderation. I've tracked it all and by doing that I've made better decisions. This is my first time on the program so I don't know anything, but the smart points have been working for me and it's something I feel like I can actually do! I don't have to cut out all carbs/fruits/alcohol for weeks on end to see results then just binge once the 2 weeks are over and gain it all back. I also quit WW recently. I lost 75 pounds with the old system, then needed to lose some baby weight. It was no longer doable for me any more. I know I'm a sugar and cheese addict, but Points Plus helped me manage the addiction and still lose a pound a week. This wants cold turkey and it's painful and unpleasant. I've always eaten a lot of fruits and veggies and make my treats from scratch. 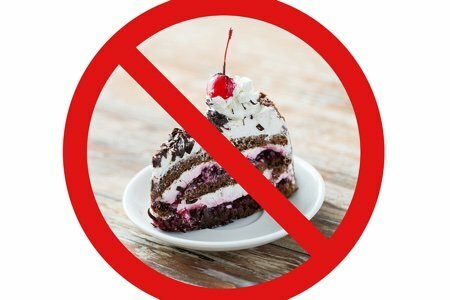 I refuse to eat fat free cool whip and fat free cheese and other fake foods. Weight Watchers now punishes me severely for that stance. I joined WW way back in 2002ish when it was the original points system. At my first weigh in, I was 318 lbs. By sticking to the program, by 2006 I was down to 157 lbs. At that time there were all kinds of little tricks - add more fiber to foods to drive down points, a small sugary treat being equivalent to a banana, etc. The point is, though, I was very successful with the program. Maybe I had an occasional cookie, maybe a helping of Mac and cheese... But as a physician myself, nobody can convince me that those treats outweighed (no pun intended) the overall net effect of losing that much weight. When the points plus program came out, I immediately started having trouble with the program. My weight loss plateaued, I started with the coaching, etc - nothing worked. I also found the app was crashing all the time and I cancelled my membership after 14 years. The comment that WW "used to meet people where they are" is wise. People with extremely poor eating habits cannot switch to a "clean" diet swiftly; rather, they need to see and feel success before gradually taking on new goals. I would prefer WW have a staggered program, where no matter where you are in the progression you would lose weight, but as you feel comfortable you transition to more and more "ideal" ways of eating. I agree that the new Points system is very frustrating. I am a life time member but debating whether to stick with it. I think the change is not doable ! I have been a WW member for the last 2 1/2 years. I lost about 55 pounds on the points plus then I plateaued. I was exercising daily and a lot and yet I could not lose!! In the year 2015, I only lost 12 pounds and 4 of that was smart points. Most people would have quit with losing on 8 pounds for a whole year and that was on points plus. Now, since smart points rolled out, I have lost almost 16 pounds. I am very happy. I do realize that the sugar thing is an issue and it gets me sometimes too. However, I also realize that it is highly additive and I should stay away from it!! When it was points plus and I could have it regularly and I was and I wasn't losing. Now, that I am not eating the processed stuff which is unhealthy for you as sugar free, I am losing and feeling better and that is what counts. I wish that WW would offer both programs so people could choose which one they would like. They still offer simply filling along with smartpoints. I'm at four months on SP- I'm trying as hard as I possibly can, but I'm hungry often. I believe in eating healthy and do for the most part, the problem I see is if this is a life long goal it is not possible to stay within my points "if " I do eat anything with sugar, honey, dates, figs etc. It is difficult for me to go to bed hungry and I have on SP. Many foods are very healthy for us yet very high in SP. What worked for me was the original Core program. The points system was very obsessive for me. It was easy to be creative with the parameters of the foods it gave without all the counting. Of course there was the optional use of points to use for the extra foods you wanted to include. I've been a ww member for 4 years. I lost 100 pounds on the points plus plan. I need hip replacement which has limited my exercise, and in the last year I gained back 14 pounds. I've been struggling with the new smart points program. The forgiving quality of ppv's made ww doable for many of us because it was reality. You can't be perfect all of the time. I think a lot of us are angry because even though our daily points went up minimally, our weekly indulgence points were drastically reduced. It's a mind set. Now it does feel like a diet and that disappoints me. I used to be able to have an occasional indulgence but now I feel I am being punished when I do. I've lost 21 lbs with smart points and it's the whole reason I joined! I could never join in the past when I read how much sugar and carbohydrate they encouraged. Since January 4th I've been a member and I love it. The program finally makes sense. And you have your weeklies if you're still hungry at the end of the day! I am not hungry though. I have a potato or some rice with dinner, and I have crackers and cheese for snack. I do not find this too restrictive at all. I absolutely love SmartPoints. I joined WW in 2007 with the Momentum Program. It got me to life time. But I would choose 100 snack of cookies for 2 points rather than eat an apple for the same amount of points. That's not healthy. Then when PointsPlus started, the little weight I gained back, I couldn't get it off. But it's not because the program didn't work, it's because I didn't work the program. This change forces me to work the program. I love pizza and cheese. Once I week, I order pizza and I eat 4 slices. I then eat the leftovers for lunch or supper the next day. And I'm still losing. On those days, I eat oatmeal or eggs/egg whites, and lots of veggies and salads. I don't eat meat, so I have to find alternatives for protein. I eat soy, but I know others don't. You always had to be a subscriber online to figure out the points of a smoothie or any recipe. You can break down any ingredient and put it into the calculator and get an estimate that way, but the recipe builder, regardless of soup, smoothie, casserole, or anything, was only offered to online members. I still have my treats and not all the time are they low fat or fat free. Granola bars aren't great for you, so I started making my own snack sized overnight oats. If I make a chocolate one, they satisfy any craving for chocolate. I am definitely not hungry on this program and I'm eating better things. I don't feel deprived at all. It's about making my treats and snacks manageable and healthier. Oprah didn't make these changes. The changes were happening long before she bought shares. Too many people blame Oprah, but she didn't change the program. I'm indifferent to Oprah. She has no effect on me one way or another. Just like any celebrity who loses weight. WW always changes their program as more research comes out. All their programs work because if you watch what you're eating and exercise, you can lose weight. The program will change in another 2-3 years because new research will come out and they'll need to. It's also a business and they need to stay relevant. I wonder if it would help if people posted plans about what they ate in a day, on SmartPoints and PointsPlus. Regardless of if you choose WW or another program or even do it on your own, it's hard to lose weight. It's not easy. Each journey and person are different. We need to do what works for us. SmartPoints works for me, but doesn't work for others. That's okay. The whole point of eating right and getting exercise is to get healthier. We need to do what works for us and support each other. "The comment that WW "used to meet people where they are" is wise. People with extremely poor eating habits cannot switch to a "clean" diet swiftly; rather, they need to see and feel success before gradually taking on new goals. I would prefer WW have a staggered program, where no matter where you are in the progression you would lose weight, but as you feel comfortable you transition to more and more "ideal" ways of eating"....this comment from Sarah (a physician) above is right on....I think the idea of a "staggered" program is a great one. I agree that as you succeed with your weight loss, your outlook and goals will change too. You will feel empowered to keep going on this health seeking journey and try new things, one of which would be to decrease the amount of sugar you're eating and the amount of processed foods, etc. But it is a process and it needs to be approached in a much more flexible way that gives you options. Some people will be able to go a more sticter route and be successful. But for the majority of people, flexibility is key. The former system with WW's did work while still giving you that flexibility that so many of us need. On the former plan you could go as "clean" as YOU wanted to go but it was your choice and the plan would adapt with you. This new plan doesn't do that. As a Lifetime member of WW and a past WW Leader I Loved Points Plus and lost over 80 pounds that I have kept off for over 5 years. I tried the new Smart Points plan for 2 weeks and hated it. I could do it but as several have said it felt like a "diet" and I know it's not for me. So I am back on Points Plus and staying very happy under goal and with this plan. I hope that WW will go back to a more flexible plan that will work for more people with lifetime weight issues. They are spot on with it being a lifestyle change but most of us need to be a little more real world about our eating habits. Most people that need to lose weight are not willing or ready to go quite so cold turkey on our favorites. Needless to say though, I didn't get to be 80 pounds overweight from too many fruits and veggies!!! We all have to find what we can live life with!! Wow! You've certainly hit a hot button Lisa! You should summarize all the comments & sell them to WW as a consultant! That aside, I've been a WW member for about 20 years (yikes!) on and off, since my kids were born & needed to initially lose about 35 pounds. I got to goal, and have for the most part just struggled with keeping that last 10 pounds off. So, in summary, yes, I think it is a positive direction for health, but sometimes harder to stick to. We have a great leader at WW who encourages you to bring in your tracker & she will review it with you, or email her any time in the week for advice & motivation. She is truly the reason I go back! I have lost 40 pounds with points plus and hit a HUGE plateau. It wasn't until I started Smartpoints did my plateau break. I'm happy to be down 12 pounds since starting smartpoints!